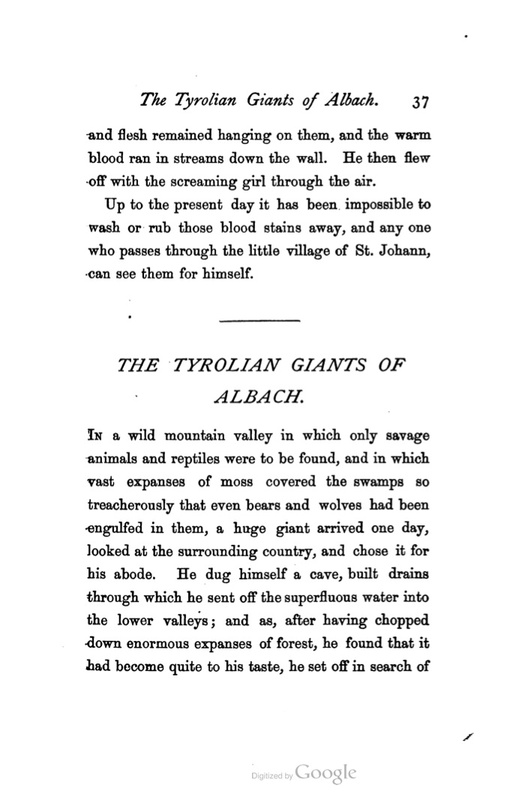 I found this story in a book titled Tales and Legends of the Tyrol, written by Madame La Comtesse Marie A. von Gunther and published in 1874. It’s fairly gruesome as such legends tend to be. 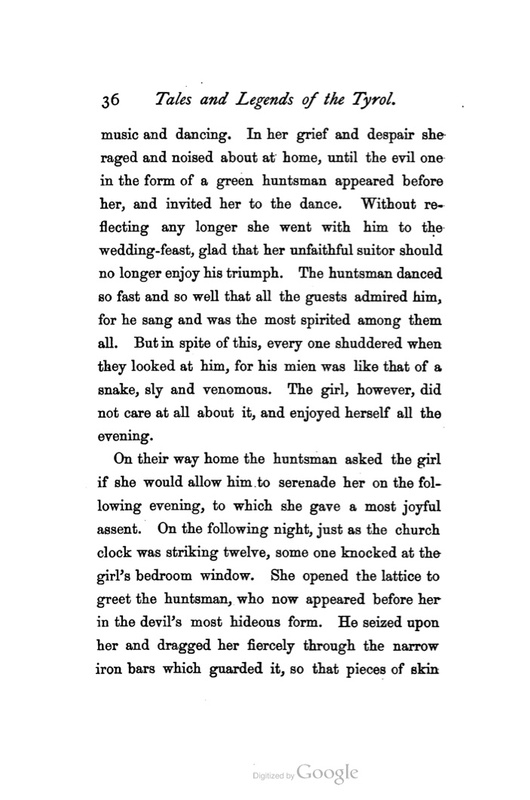 Note that there is no mention of the Huntsman’s complexion. You can download the whole thing, as a pdf, from google books. This entry was posted in Lit, Values and Culture on October 29, 2015 by apciv.